Because Jonathan trusted Christ as a child, he realized the importance of children’s ministry. The Lord allowed him to become involved in CEF as “camp pastor” for Christian Youth In Action® (CYIATM) in 1999. Eventually, the Lord led him to accept the position of local director of the Lincoln Chapter at the end of 2003. By March of 2004, permission was granted to hold a Good News Club® (GNC®) in every public elementary school in Lincoln! August 13, 2005, he married his sweetheart, Yoli, and God has given them three precious children, Ariana, Ethan, and Isaac. 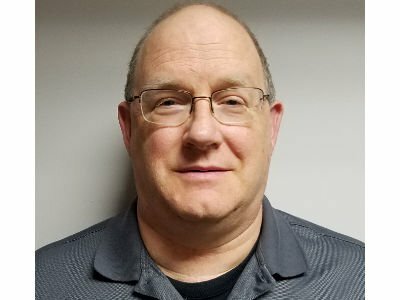 In 2011, God allowed him to become the State Director for CEF in Nebraska. 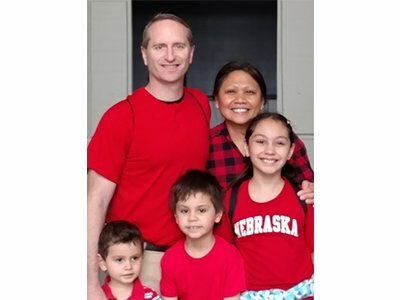 The Musgrave’s enjoy serving the Lord together as a family reaching the children and families of Nebraska. They praise the Lord for what He is doing and for all the laborers He has raised up to work in His harvest! Please join with them through your prayers and financial partnership so that they might be even more effective in impacting the more than 250,000 elementary children in Nebraska for Jesus! Matt gave his life to Christ on Labor Day of 1995. He has been blessed with three children, all of whom have accepted Jesus Christ as their Lord and Savior. His life has experienced many major challenges. A huge challenge was the death of his first wife to Ovarian Cancer in 2007. Alone, he wandered down a path becoming the person he didn’t want to be. However, in the Lord’s graciousness, he brought Matt back to Himself and also brought to him Tracy, to whom he has been married to for nearly 10 years. Through the loss of his wife, his father and mother, his father-in-law (who was murdered), and another major family crisis, Matt and Tracy continued to grow spiritually and lean even more on the Father. As they regularly turn to the Father, He turns these challenging situations into life-changing positive events. Stephanie came to Christ at a young age thanks to the guidance of her parents. She attended CEF® Christian Youth in Action® (CYIA®) for two summers during high school. After receiving her college degree she worked in central China, teaching English. She then went to law school in Ohio, where she was able to graduate, but moved back to central Nebraska due to a health concern. She remembered her CYIA training and helped start the CEF Central Chapter in 2013. After two more years teaching in China, she returned home in April 2016. In addition to working in the Central Chapter she is attending CEF‘s Children’s Ministries Institute® (CMI®), preparing to become the Chapter director. 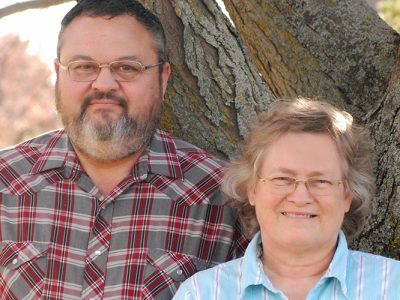 Monte and Dawn serve in the Cherry Chapter in North Central Nebraska. Monte was led to the Lord at the age of three. He was led to Christ by the lady who became the first director for the Cherry Chapter. Her favorite counseling tool was using the Wordless Book. He always had a love for children and often took a turn babysitting in the nursery for his local church. He attended a Good News Club his sixth grade year in Bassett. He really didn’t have much contact with CEF for several years even though he knew a lot of the people involved in the local ministry. Dawn was led to the Lord through a camp ministry her grandparents were involved in. There wasn’t much spiritual growth until college when she made contact with the Navigators and Campus Crusade for Christ ministries. In 1985, Monte and Dawn felt called into CEF and attended Children’s Ministries Institute® (CMI®) that fall and have served as local directors for the Cherry Chapter since that time. They have eight children, all of whom have attended Christian Youth in Action® (CYIATM) training. Stephanie was raised in a family with both parents heavily involved with ministry. At age 3, she remembers telling her mom she was ready to ask Jesus into her heart. She was baptized at age 6 in the church she grew up in in Bismarck, ND, and again in the Jordan River at age 15. She experienced a call to the mission field at age 16 while on a mission’s trip to Haiti. Later that year, she accepted an invitation for another mission’s trip to Malawi. This calling seemed to hit a dead end over the next few years. She married her husband Treynor in June of 2017, with the focus of strengthening their marriage in Christ and on their jobs. The job she previously held changed, and in August of 2018 she found herself back on the job market. A good friend and CEF director happened to call right after she was notified that she would be unemployed and encouraged her to consider ministry with CEF. Everything changed that day. Her fire for missions was once again lit. She began her journey as a Field Missionary with CEF of Lincoln in October 2018 and looks forward to what Christ has in store for her and Treynor as they follow His direction. Valerie Cherry mostly grew up in Omaha with her parents, John and Sandy Cherry, and siblings Stephanie, Caleb and Josiah. She came to faith in Christ at the age of 12. At the same time, she told God she would be willing to do missions wherever He led her. She became involved with CEF through Christian Youth in Action® the year of 2009. In 2010, she started teaching a Good News Club®. After graduating from high school as a homeschooler in 2014, she attended CEF’s Children’s Ministries Institute® in Warrenton, Mo. Caleb is the son of John and Sandy Cherry. He was born in California into a military family. Around age 5 his dad was transferred back to Nebraska. He was homeschooled, along with his two sisters and a brother. Caleb grew up in a family of believers, and he thought he knew the Lord but had much confusion and doubt about forgiveness of sins. After 6 years of attending CYIA, Caleb felt led to go to CEF Headquarters in Warrenton, Mo. to go through their 15-month internship program. Now he is excited to see how he can serve God through his local CEF chapter and impact the lives of others for eternity. Dakota is a small-town girl from Cook NE. She loves riding horses, working with her animals and working as a farrier on the side. Since she was a small child, she always knew who Jesus was and believed that He died to save her from her sins. But one thing was off, she could not find her mission. She was 11-years-old when her life was turned around. On Dec. 12, 2010, she witnessed her 21-month-old brother crushed and killed by a dresser. This incident left her separated from her family and friends not wanting to let herself get attached to anyone for fear that she would lose them. God was constantly at work in her life, even though she struggled with her purpose in life. The Lord nurtured in her a heart for children. She did not want to see any child be left without the opportunity to accept Christ as their Savior.